Why Is Just4keepers Goalkeeping Trusted By OVER 40,000 Goalkeepers And Parents Across The Globe? As Ex professional keepers and parents ourselves of goalkeepers ourselves, and also helping literally thousands and thousands of goalkeepers/parents over nearly two decades, we at Just4keepers know the importance of helping parents and goalkeepers pick the correct goalkeeping gloves. 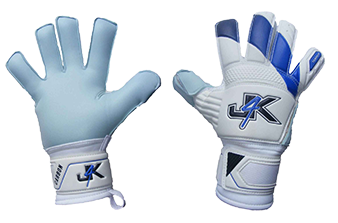 At J4K we have coached over 50,000 goalkeepers through our coaching schools across 30 PLUS countries, so we know exactly what keepers and parents of goalkeepers need for their goalkeepING gloves. And that is atop quality goalkeeper glove BUT at a fair price. And this is just what you get with just4keepers goalkeeper gloves. On average when you purchase a Just4keepers goalkeeper glove, your are saving up to a whopping 60% if you where to buy a similar goalkeeper glove with the so called big brand names. 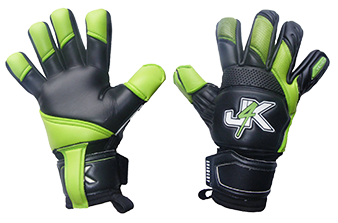 Before you purchase any J4K goalkeeper glove, please do some research on Just4keepers and you will see that we are changing the environment for goalkeepers (and parents of goalkeepers) by offering top specification goalkeeper gloves upto 60% cheaper for the exact same glove with a different name. So it makes sense to at least try J4K - You will not be disappointed. IMPORTANT ADVICE FOR PARENTS: Most parents will get their childs gloves from either a cut price retail store or will buy gloves that their childs favourite professional goalkeeper wears. Both can be costly mistakes as it is very very important that you pick the correct glove shape that will compliment your childs hand shape. However DO NOT worry about this because we at J4K are here to help. We will help you get the correct glove at a fair price.